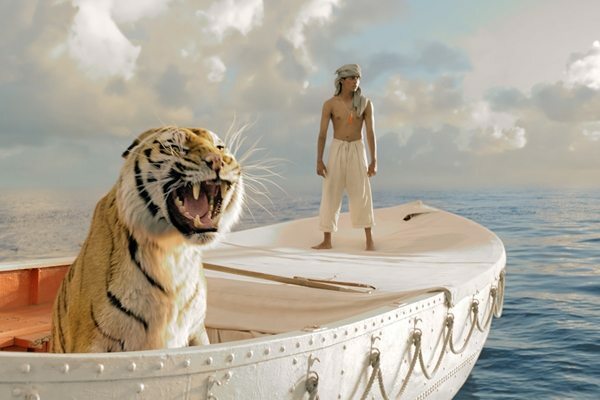 Academy Award winning filmmaker Ang Lee (“Brokeback Mountain,” “Crouching Tiger, Hidden Dragon”) brings to life Yann Martel’s bestselling tome “Life of Pi” in 3d – seamlessly combining CGI and reality into an integrated whole, making it hard for the audience to discern between what is real and animated. Filmed in India and Taiwan, Ang Lee’s “Life of Pi” team – actors and crew have been doing the rounds in various parts of the globe this last quarter of 2012 to introduce a story that was first thought of as unbelievable and ‘unfilmable.’ Lee creates a groundbreaking movie event about Pi, a young man who survives a disaster at sea and is hurtled into an epic journey of adventure and discovery. While cast away, he forms an amazing and unexpected connection with another survivor, a fearsome Bengal tiger named Richard Parker. “Life of Pi” opens this January 9 across the nation from 20th Century Fox to be distributed by Warner Bros.